Owls have long been considered watchful and vigilant creatures, which means that Google's latest endeavor to improve its search feature is aptly named. Project Owl, a Google initiative designed to ferret out offensive search suggestions and fake news sites, promises to reduce the amount of problematic content that appears in the SERPs. One of the main parts of Project Owl involves allowing users to submit feedback on search suggestions. When you begin to type a search query, suggestions will still appear below to help you narrow your search. However, there now appears a link in the bottom right-hand corner that invites users to "report inappropriate predictions." If you click the link, Google will ask you to put a check mark next to the suggestions you feel are inappropriate. 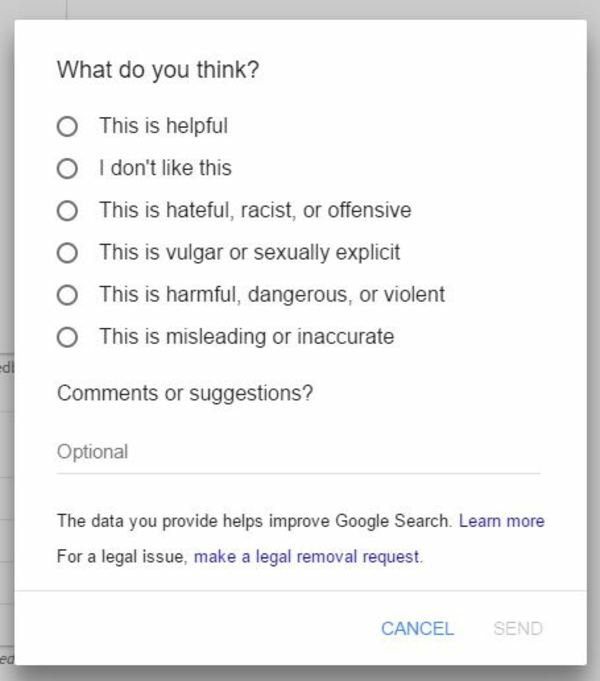 Google also asks you to label those predictions as "hateful, sexually explicit, violent, dangerous and harmful activity, or other." You can add extra comments if you need to explain your reasoning. Google intends to remove some predictions from its autocomplete feature, which it has reserved the right to do in the past. However, the company has now published guidelines that explain why a particular suggestion might no longer appear in the autocomplete list. Featured snippets, such as rich answers, promote content from a particular page above the results in the SERPs. Users have complained that the featured snippets sometimes prove irrelevant, incorrect, or insubstantial, so Google now allows users to give feedback on those features. As you can see from the image above, there's a feedback link below this featured snippet. However, it's not just for criticism. Users can mark the snippet as "helpful" as well as unhelpful based on specific reactions. As you can see, users can also get in touch with Google if they have a legal issue with the content. 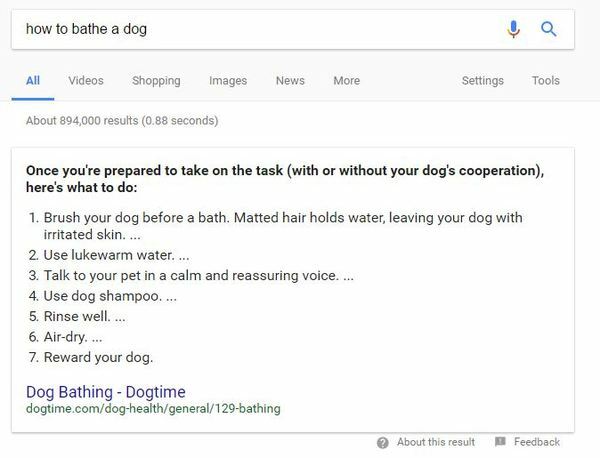 Google has sought feedback on featured snippets before, but with less specificity. Project Owl might allow Google to carefully hone its algorithms and content selection tools to ensure that offensive content doesn't appear at the top of the SERPs. From conspiracy theories to doctored photos and fake news, problematic content has long been an issue in the SERPs. That's why websites like Snopes exist — they help to dispel rumors that fake news sites start on the internet. Google's Project Owl takes aim at these websites, removing them from the SERPs (or at least from the first page) so users don't fall down a rabbit hole of conspiracy theories and lies. Google wants to promote helpful content that actually answers users' queries. Will Project Owl have a major impact on the way users and marketers use Google? Perhaps. Marketers can take advantage of the changes to promote their content over inferior content and keep their pages as high in the SERPs as possible. If you're frustrated by Google's frequent changes and other advertising and marketing strategies, we can help. Learn How Digital Marketing Agencies Cost Less Than In-House Teams.